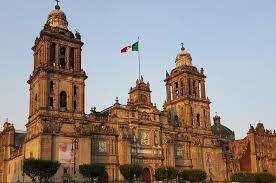 Cheaper Car Hire in Mexico Benito Juarez Airport. Compare reduced prices for rental of SUV, MPV & Minivans. If looking for car hire at Benito Juarez International Airport, (MEX), in Mexico City , then check out some of our excellent prices today and save on small cars, larger sedans/saloons, SUV and 7 or 9 seat minivans. In cities and airports across the country, Alamo are one of the companies we work with, who offer savings on their normal rates. Then there are also Europcar and the local company of Mex Rent a Car. Free Extra Driver - Not only do Mex Cars usually have the cheapest prices, but they also give a free additional driver in the rate. No extra charge - Making changes is free, as is cancelling a booking, as long as done within the time allowed. The weather is usually Good all year round, but depends where you are as to whether the weather gets cooler in winter (i.e further north), or stays pretty much the same, depending on high up you are. Pesos will buy you that Sombrero and shot of Tequila before devouring your favourite Taco. Currency code MXN. Mexico sits just under the USA, and then makes the journey south to join up with Central America. 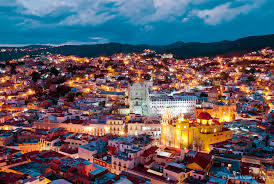 Mexico City is over 6,000 feet above sea level. The Mexicans speak Spanish in the main but there a vast number of other local languages spoken. 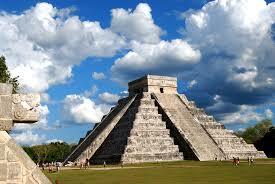 The ruins of the Incas and Aztecs play a nice balance with the beaches, to make Mexico a popular fly drive location. Cancun and Acapulco are the best known resorts. Cancun is on the Caribbean side, with Acapulco on the Pacific side. Puerto Vallerta is another popular place to go and relax by the sea. We offer cheaper vehicles in Mexico. You're not in the dark with our Mexico motoring prices. Compare and book an SUV for Cancun & then beach it. Mexico is blessed with too many to list here. Choose from Pacific to Caribbean beaches. There are quite a few mountains here that are over ten thousand feet, with the tallest at over 18,000ft. If messing about on boats is your thing, then there are lot of lakes. Tequila and VW Beetles (and other cars) apart, Mexico has a diverse number of exports, like electronics, petroleum and food to name a few. The Mexicans like their football first, followed by, in no order, boxing, baseball, bull fighting, basketball and wrestling(or Luch Libre as they say in these parts). Roman Catholic in the main faith followed in a population heading towards 120 million.